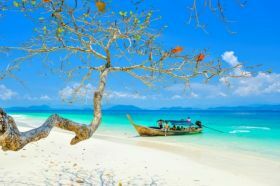 Thailand is one of the world’s hottest tourist destinations with millions of visitors arriving each year to enjoy hot sun, clear blue skies and even clearer tropical waters. With Finnair, your clients can easily connect from Dublin to Bangkok, Krabi and Phuket via transfer-friendly Helsinki Airport. Flights are operated several times a week. Finnair operates daily flights on the route Helsinki to Bangkok. Finnair operates direct flights from Helsinki to Krabi between 11th December 2018 and 26th March 2019. Finnair operates direct flights from Helsinki to Phuket between 16th November 2018 and 6th April 2019.